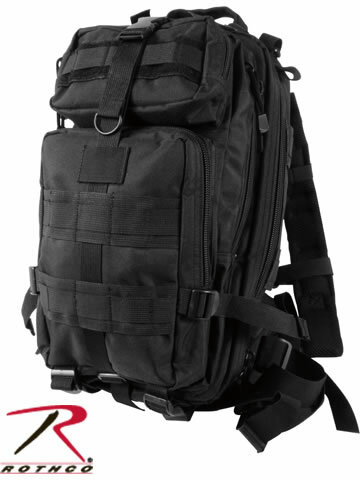 This daypack sized backpack has separated compartments to hold your different gear. Perfect for that day long hike or even an overnighter. It's not a full sized pack but more of an overnight bag or for short 1-2 day excursions. Fits into overhead compartments on airlines so it's also good for travelling. Lots of attachments points to carry extras on the outside. See video below. - 17" X 8.25" X 4.25"
- 16" X 7" X 3.25"
- 10" X 6.5" X 2.25"
- 3.5" X 6.5" X 2.25"